As a quick preamble, I would recommend reading my last column, Wormhole Evictions, where I lay out the common cry of the “content” problem in wormholes, where it actually originates, and my reasoning for its failures. This week I will offer a solution to the problem in conjunction with the POS rewrite. The POS rewrite has the potential to be a huge success or a huge failure. As a failure, it would not replicate the entirety of the current features of POSes, or it might not add anything exciting to the table and regenerate the current format with new code. However, if done well, it could be a huge shakeup in small fleet combat. I speak of destructible modules. I have no knowledge outside of what has been disclosed to the public by the CSM and CCP. Therefore my imagination’s simplicity is limitless. The ideal of modular POSes that I will speak about is a simple one: current POS functionality with a clean interface, and the ability to destroy upgraded modules without a reinforce timer, that’s all. Allow me to lay out what could be the most exciting PvP expansion that you don’t yet know about. If I can go out on a limb for a moment, one of the most destructive mechanics currently in the game is the hitpoint, timer based sovereignty structures. You get the double edged sword of huge form ups for critical timers, only to see one side stand down with no fight, and almost always no real damage done to the opposing side, because one lost battle out of three simply resets the structures back to normal. This leads to empty, sprawling empires, that lack any type of quick reaction force and are generally only used in part by the residents. These mechanics reinforce themselves, as large single system battles require increasingly large coalitions. A large point of recent design discussions has been how to decentralize these battles. In addition, there is a lack of guerilla warfare capability in Eve. This is something CCP has recognized themselves, with the new siphon units, and is also symptomatic of the empire sprawl that has taken ahold of large coalitions. The ways to strike at these coalitions beyond a direct assault are limited, which makes large coalitions all but unassailable in nullsec. Military options need to be expanded for smaller forces. Finally, in wormholes, we have the lack of anything “real” driving fights. If an entity does not wish to come out and fight, the only way to force harm upon them is a huge and full scale assault on their home system. Perhaps more importantly, they lose nothing for this passivity. The Huns might be at the gates, but those gates are impregnable for any such parties. All of these problems can be mitigated with a comprehensive POS rewrite. Destroyable modular POS upgrades makes “farms and fields” slightly closer to reality. The destruction of these upgrades will in some way affect the residents that use them, whether it be for industry, military, or logistic purposes. The inconvenience will certainly make the residents think twice before spending the ISK to replace the upgrades, and make the location of POSes more strategic. Second, you do immediate irreparable damage to the owner. The ability for a “roaming” gang to get into an area, do damage, and leave, would be greatly increased. It would change the way a sovereign empire would need to respond to unwanted PvP. There are a couple possible solutions that would arise. The most desirable from a design perspective is that fleets form to defend their POSes and PvP happens. This will undoubtedly result in a contracting of the empire sprawl, and the ratio of pilots needed to defend all the POS space will be far under the necessary number at the outset. It moves Eve closer to the idea of occupying usable space, and not conquerable space. Fights happen more often, both in small gang and small fleet, TiDi lessens, there is more spontaneity and less grinds and alarm clocks. Second, and slightly less desirable, entities could make sure the POSes are un-upgraded and attempt to minimize any damage that could be inflicted. I believe the solution, which might be a radical one, is to use the modules themselves as the reinforce timers. If you have no upgrades to be destroyed, then you lose the POS. What this means is that every time a fleet is not formed for one of these small timers, some value is lost by the owner. The more upgrades you have on your POS, the more “timers” you have, as each time you destroy a module, the POS would enter “reinforce.” These timers wouldn’t be simply useless, however, as actual value would be removed at every single point in the destruction. Finally, an entity could decide not to use POSes altogether. The final trigger that ties these elements together is a rework of the defensive properties of a POS. Right now, fighting on a defensive structure means nothing for the defenders. They get few benefits from terrain, and the attackers are as likely to get in position to set up early as the defenders. Players will want to manufacture them, as they will also be a defensive structure that will help keep control of their space. The “defender’s advantage” becomes a strong, tangible, strategic asset. A rework of the POS structures to a reliable, efficient structure that easily contributes in battle morphs all of these tweaks into one thing: more common fights. 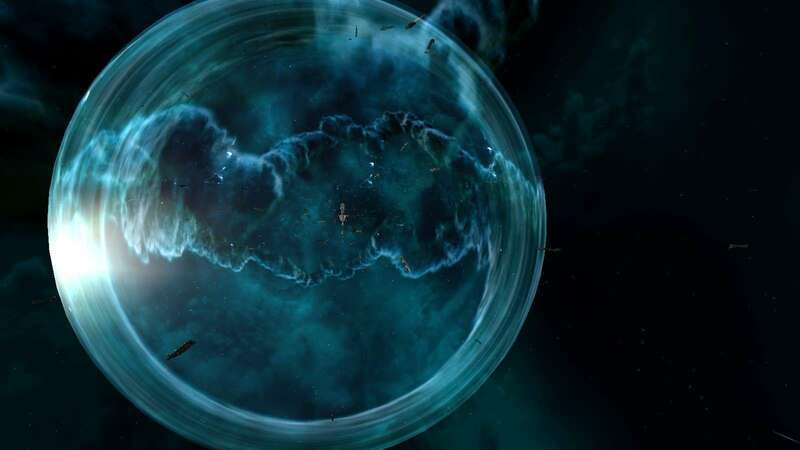 It completely changes the game in wormholes, but more than that, it completely changes small gang and small fleet fights, which is the bread and butter of all wormhole corporations. Defenders will be more likely to engage with an inferior force because there will be an actual defender’s advantage that helps to equalize battles. 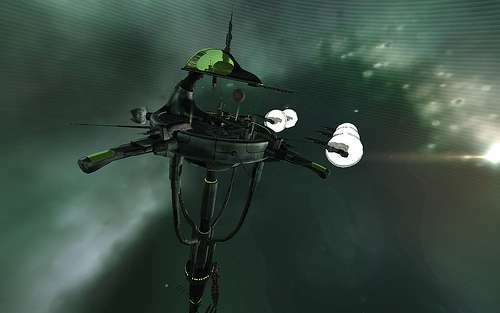 If a coalition wishes to stay holed up and defend a strategic point, many other fleets can fan out and begin doing actual ISK damage to the alliance, which they can then either decide to defend under the advantage of their structures, or leave to be razed.